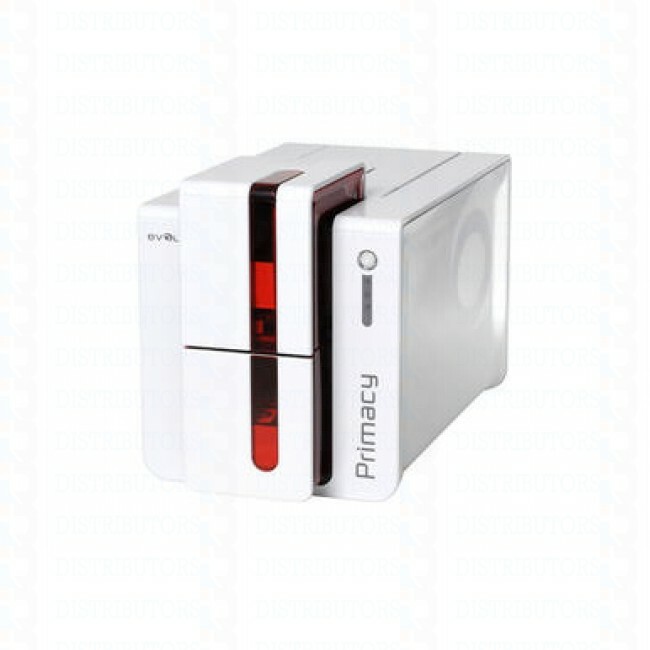 Primacy Simplex Expert Smart & Contactless - Fire Red Evolis SCM Dual Smart Card and Contactless Encoder Primacy is a high-end printer that is easy-to-use, flexible and fast . When loaded with the Evolis cutting-edge encoding technologies, Primacy turns into the ideal solution to issue cards. Primacy supports any requirement in card printing and encoding, in medium to large runs . This is the perfect option to deliver : transportation passes , payment cards , identification badges , as well as multi-feature cards: student cards for example A card printer which adapts to your needs Primacy is available in single or double-side printing versions, with or without encoding technologies, The encoding or double-sided printing options can be installed to order or at any time on site, All Primacy versions are available with USB and Ethernet TCP/IP connectivity. Optional WIFI connectivity is available on the Wireless range. A quality commitment Primacy guarantees optimal operation and perfect results, and benefits from a 3-year manufacturer's warranty. For even more peace of mind, extend your warranty with 1 additional year of coverage, available as an option.